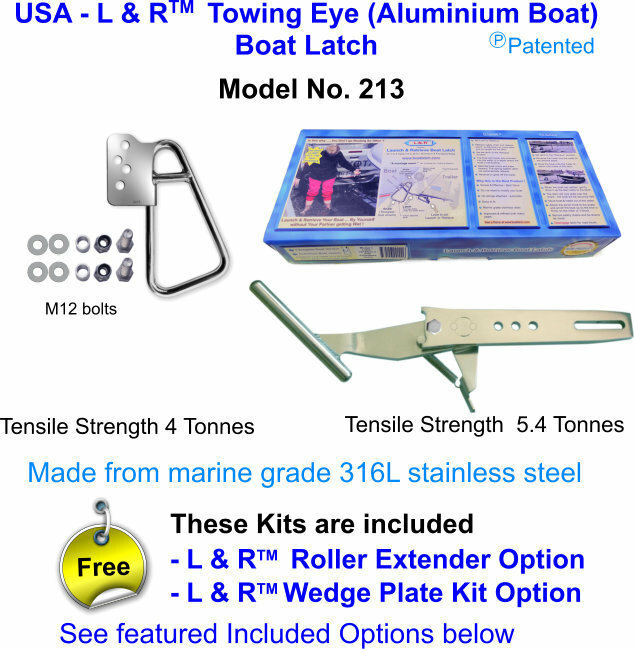 This towing eye Standard Snare fits a wide range of towing eyes without having to bore holes. Note to USA / Can. Customers ….. we have included the options below for Free. This will help you cope with some of the variations encountered with odd trailer and boat combinations. These extra options, that go on the trailer, will help you to cope with most trailer variables, except a few extremes (see the “Before you Install” document). See details under Featured Options below. Also we have included Free Courier Delivery ! Included FREE in this pack........ You may not need these !... but they are there to cover a situation that may occur at the time of installation.